That title feels a little melodramatic, I only made one other summer dress, I don’t even have a ‘middle of the summer dresses’. But as you know, summer has been a little busy for me. 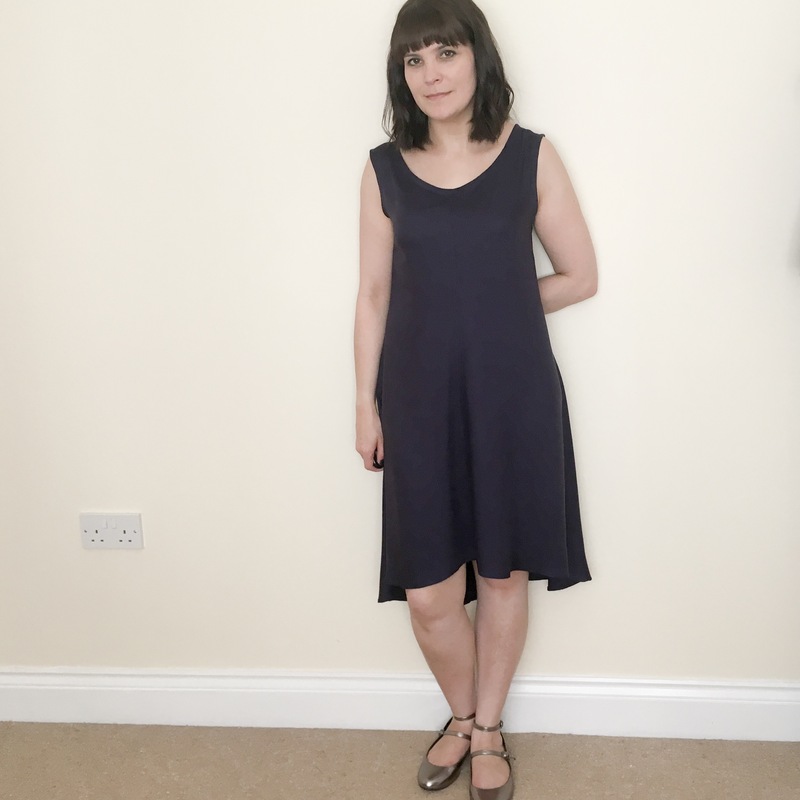 I actually attempted another summer dress but the damned thing came out so big I don’t think it’s salvageable… that’l teach me for not making a muslin! So this dress came from a desire for a swing dress, I have seen so many other people wearing them this year, and I love their casual but edgy style so I thought I might try it for myself. 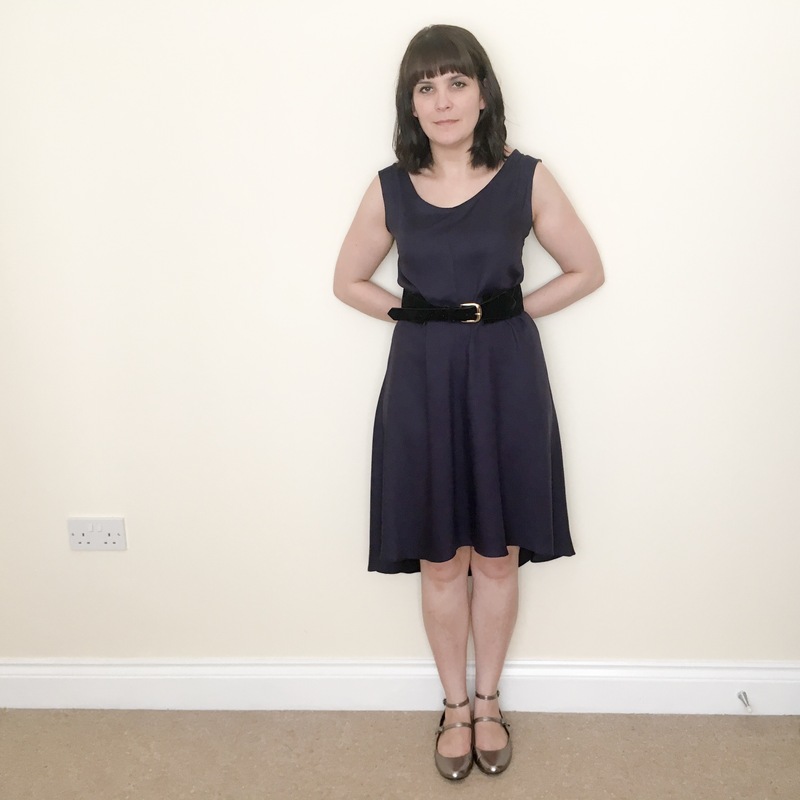 It was always a gamble, I have rather broad hips compared to my upper so there was always the risk it was going to make me look pregnant… or at least like I’ve had a rather large bowl of carbs! 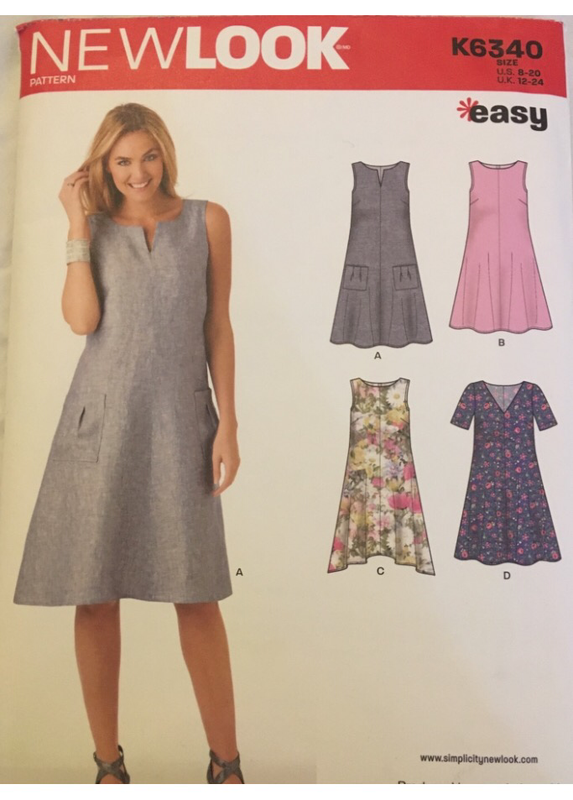 I chose New Look 6340(K) which came with Sew magazine, I probably wouldn’t have bought this myself but I’m much more likely to take risks with patterns if they come with a free magazine. It’s a swing-dress-with-some-shape which I thought of as a safe middle ground. I chose my size based on hip measurement, which dresses tend to go for. But my word I never seem to remind myself of the almost two size difference between my top and bottom. I was worried of course that the skirt would end up too tight over my hips… that would just ruin the look altogether! But I may think a little more about this next time. 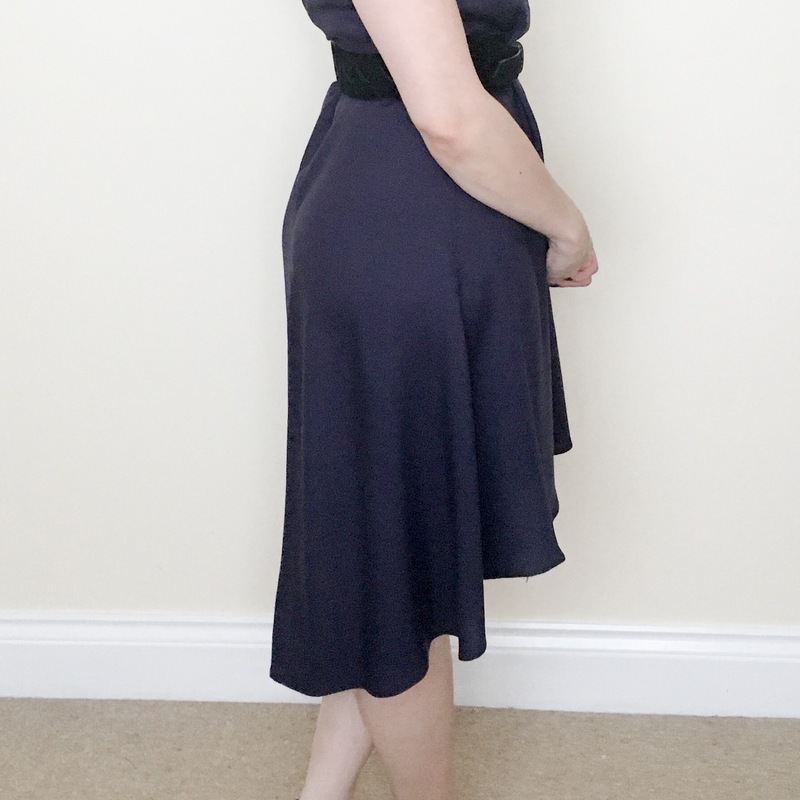 I went with option C as I love that dipped hem… I’ve had a theme this year, I’ll tell you more about that later! And left out the tie waist at the back because I hate those things, much prefer a nice sturdy belt. And as you can see, the top of the dress is just too big for me! The underarm and shoulder is the main culprit. The rest of the bodice was too big too, but with some pinning and another line of stitching I fixed that. Really I need to go down a whole size here, maybe gradingback up at the hips. The fabric is a really lovely heavy viscose, it’s about twice as thick as a usual viscose and doesn’t crease if you look at it funny. 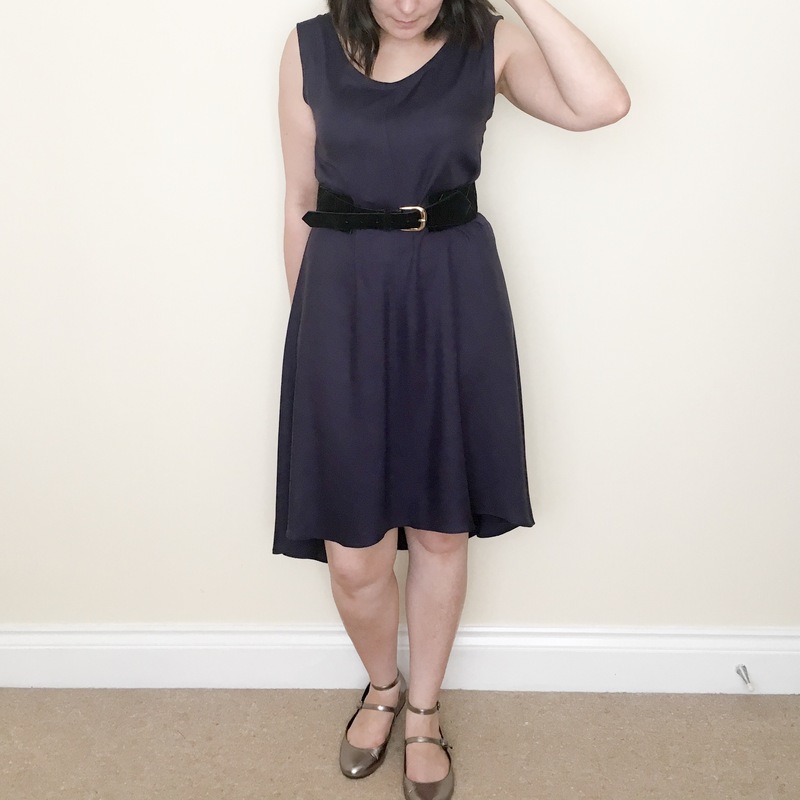 It’s a gorgeous fabric for this type of dress and really wears well in the hot weather. Now as far as the swing dress idea goes, I’m not convinced! My feeling is that on me this type of dress resembles a misshapen sack! It’s not horrendous, this is most likely my critical eye on it, but I just don’t like it! Especially not from the back… can we say bottom heavy? Another strange quirk of the pattern is that back opening. I promise I made it as stated in the pattern, but it goes almost down to my waist! I’m pretty sure this is meant to stop just above bra level, I’ve machine tacked it together at the top and again at bra level to try to maintain some dignity. Is this a quirky design feature or does it just look odd? Boom! When it doubt, put a belt on it!! It does make the baggy shoulders a little more pronounced as it seems to want to tilt to one side (I think I’m wonky), but I think it’s. much more flattering shape. Ahhhh that’s better bum! Though again because it isn’t hanging in the same way.. hello bra! Yeah that thing goes from above the knee at the front down to mid calf at the back. It’s swishy as hell too in this viscose and I love it!! A bit tricky to hem, I won’t lie. But I think it’s worth the trouble… and if dipped hems go out of fashion, I can just chop it off and have myself a mini skirt! So yeah, not perfect… maybe I should make my New Years resolution to actually make muslins… that gives me a few more months of being reckless right? 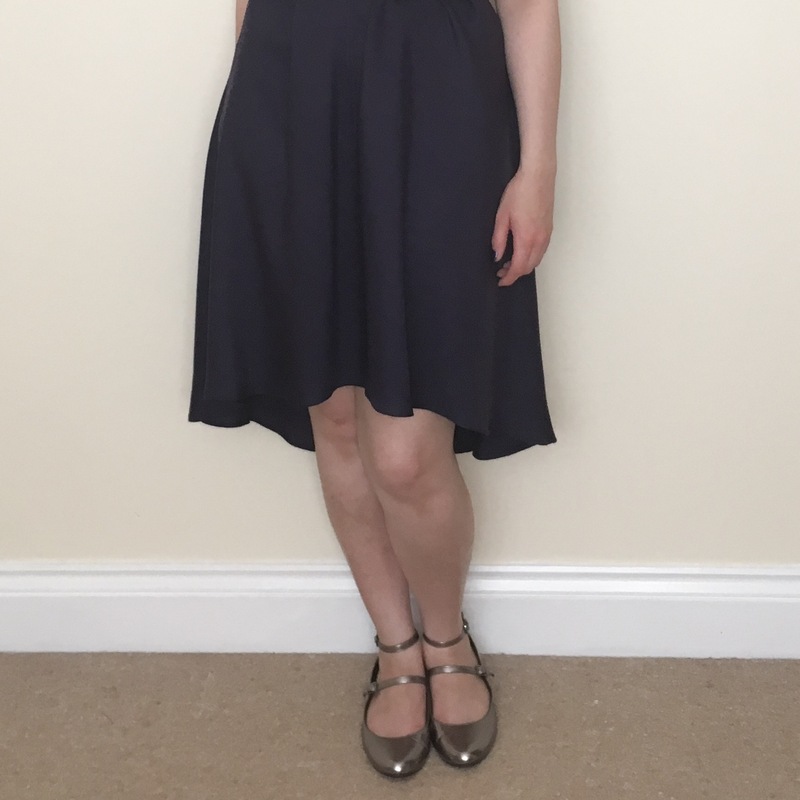 I wore this out with the girls recently and felt perfectly happy in it. I guess we all gre up with not quite fitting clothes anyway so this isn’t much different. I may make it again and improve the fit over the shoulders, but I can see me still adding my trusty belt. Maybe I’m not ready for the swing dress yet. I actually don’t mind the look without the belt, it looks nice and breezy for hot days. The belt definitely gives more of a defined, dressy style though. I thinking fitting for your upper body then grading out for your hips might be the way to go for next time. Funnily enough I’m totally the opposite to you, I have to grade up a size or two for my shoulders and occasionally grade down for hips. Haha!